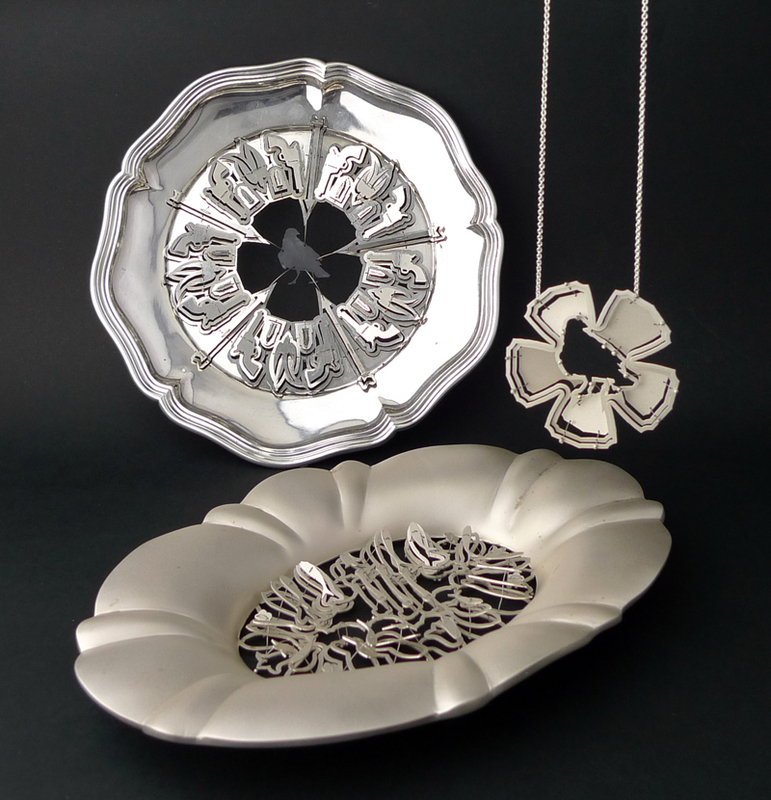 Congratulations to Melissa Cameron, one of Bilk Gallery’s jewellers, who has just been awarded the top silversmithing prize at the Buda Contemporary Silver and Metalwork Exhibition. She recieved the THE ART CENTRE AWARD, for excellence in silver design, craftsmanship and originality by an artist inspired by, or interpreting, any branch of Australian performing arts. Melissa’s work, The RavensandThe Fishes was inspired by the haunting, loquacious songs O’Malley’s Bar and Breathless by Nick Cave. The Art Centre Award is an $8000 prize, plus acquisition by the Arts Centre in Melbourne. The Buda Contemporary Silver and Metalwork Exhibition continues until June 19 at Buda Historic Home and Garden in Castlemaine. So if you are in the area make sure to check it out. But if you are in Canberra, drop by Bilk Gallery to see some of Melissa’s work from before she was famous, we’ve known how great she is for awhile now! In addition to that exciting news (if that weren’t enough! ), Melissa has also made it through initial selection to the object jury round of the BKV Prize for young applied artists, in Germany. Congratulations and good luck from everyone at Bilk!